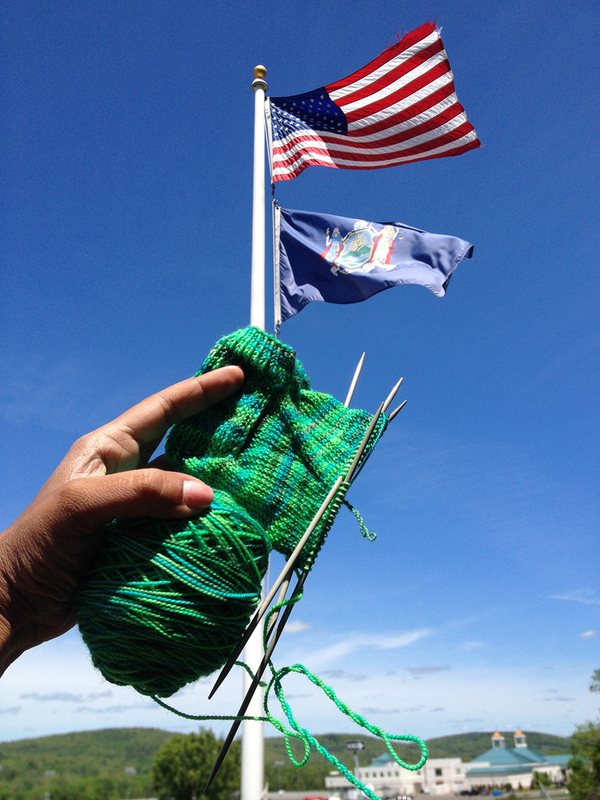 So we drove to NYC on the weekend (more on that later) and I was looking for a good knitting project to take up the time. Tito had just received his first pair of socks and he was lovin’ em. 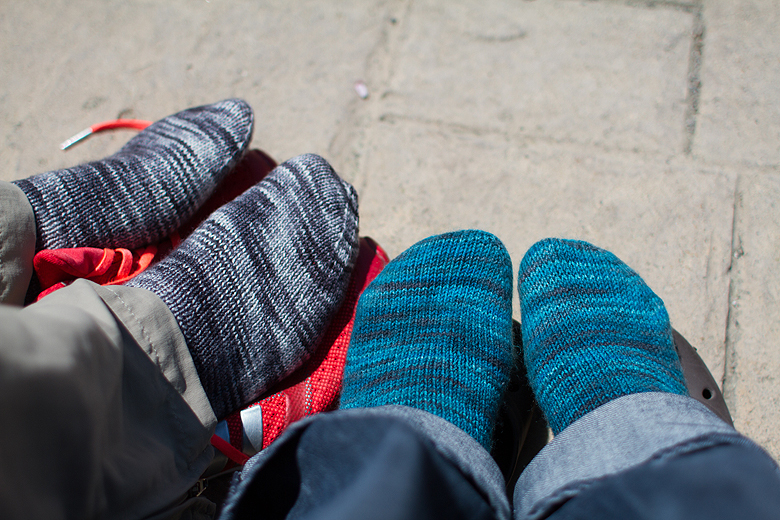 So, glumly, I went to the stash and stated poking around looking for something boring masculine enough that he would wear it (not a likely event in my stash) when Tito said ‘You know, I feel like if socks are hand made, they should look a little funky’. Funky. Well. These are the socks he’s getting. Yes, he chose the colour. They were a perfect road trip project. 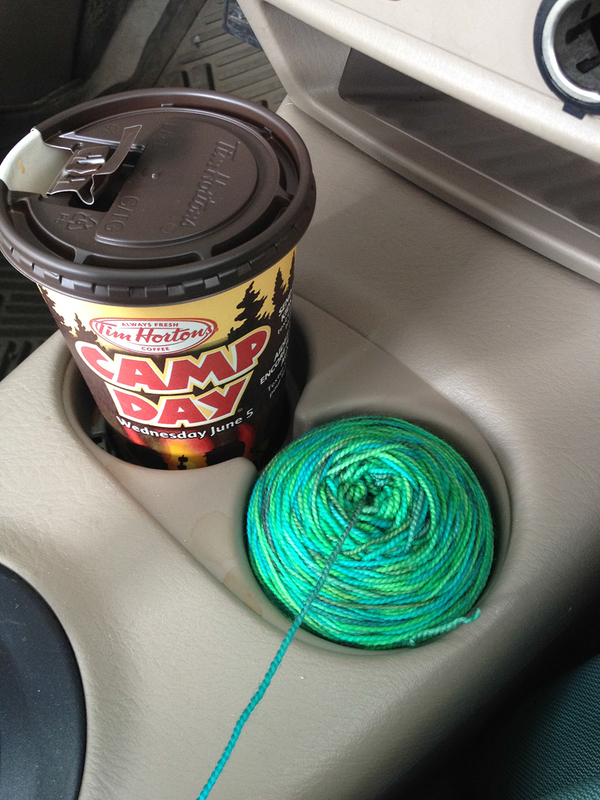 Here they are demonstrating the proper use of our cup-holder. 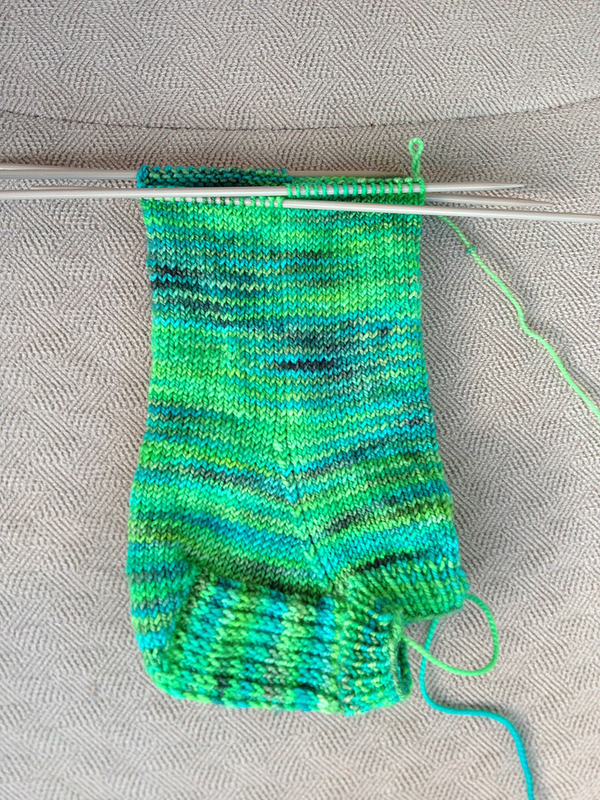 I turned the heel by the border. They saw lots of upstate New York. 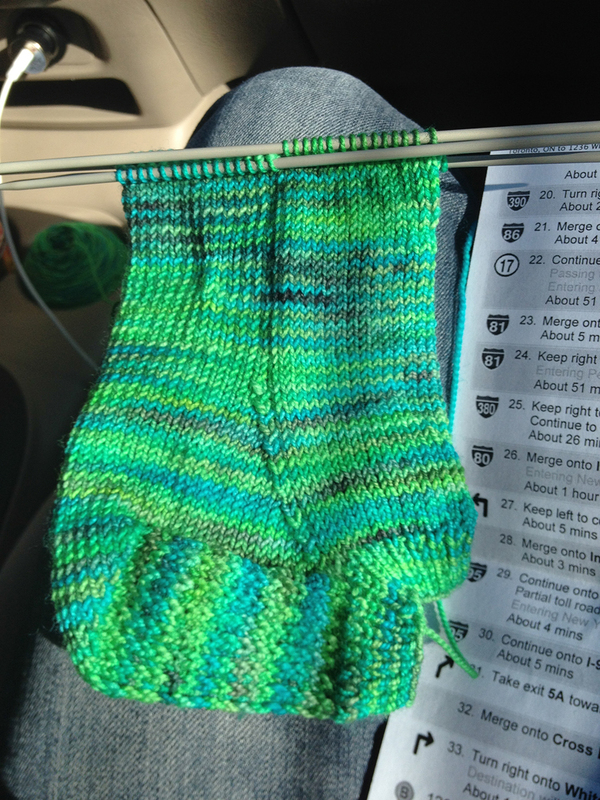 I finished the first one on the road, he should have a pair by the weekend. A man who loves funky, ankle length socks. How lucky am I? LOVED your commentary, Shireen! Made me chuckle at your humour. You did a great job on those socks. 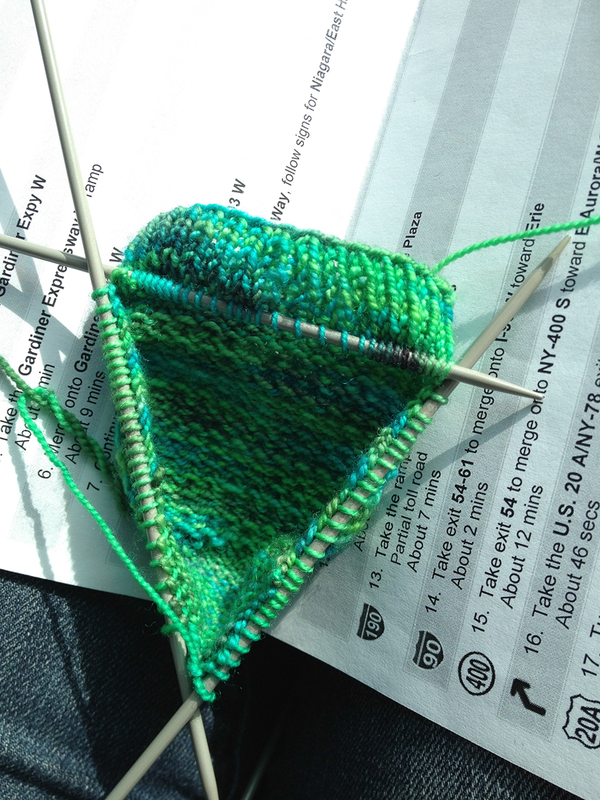 I’m knitting my 3rd pair ever, and still have to look up grafting for the toe on YouTube. Hey Lorraine! I added you on Ravelry (Hope I got the right person!) Can you check your Rav account, or send me an email at hello@thebluebrick.ca? Love them!! Wish I had a pair!